The most critical parameters of optical glass are the accuracy of its properties and optical homogeneity. All physical and optical performance criteria must meet design requirements with no variation allowed. In 1988, Lloyd's Register Quality Assurance (LRQA) Management Systems awarded OHARA with ISO9001 certification for its quality management system. 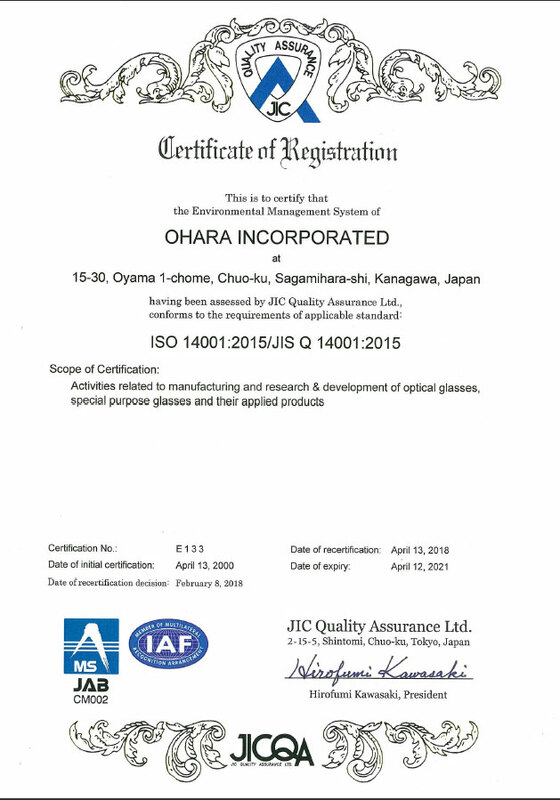 OHARA was the first optical glass manufacturer to receive this certification in Japan. The verification of ISO9001 qualification covers the company’s complete quality system, including development and design of optical and special glasses, the production process for Hard Disk substrates, etc. OHARA is widely recognized as having the world's highest class quality control system in every aspect of production (including raw material mixing, cullet melting, cullet mixing, continuous melting, pressing, annealing, product inspection, and shipping). In addition, OHARA pays close attention to overall maintenance and improvement of each component. 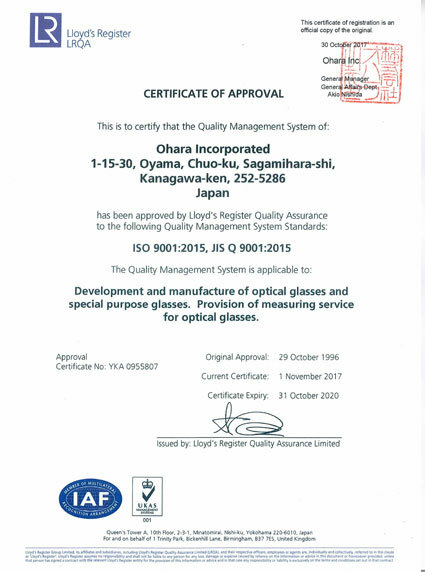 We are proud to state that Ohara Inc. in Japan has achieved ISO 9001 and ISO 14001 Quality Management System Qualification. Our ISO 9001 and 14001 Certifications have been recently renewed.